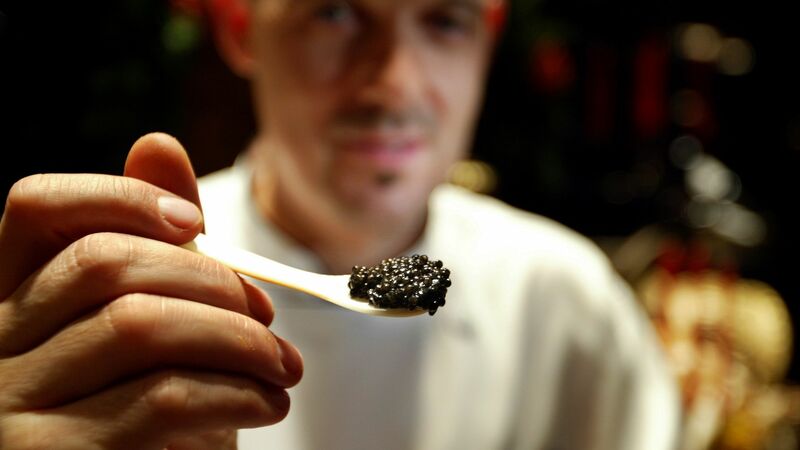 China's total caviar exports "more than quintupled" between 2012 and 2017, as farmers are increasingly able to churn out fish eggs from wild female sturgeon at a relatively low cost, the Wall Street Journal reports. Why it matters: The most recent data from the UN's Food and Agriculture Organization shows U.S. caviar imports from China sold for 13% less in November compared to the year prior, and nearly 50% since 2012. American caviar farmers are increasingly struggling to compete with China's dominance as the market becomes flooded with fish eggs, though the Trump administration's 10% tariffs on Chinese caviar have helped cushion the blow. Representative Bill Pascrell, a Democratic member of the House Ways & Means Committee that oversees U.S. trade policy, is expected to send a letter this week to Commerce Secretary Wilbur Ross asking his department to investigate whether “imports of carbon emissions” pose a national security threat. The big picture: The largely symbolic maneuver highlights a new tactic among climate hawks: treating President Trump's aggressive use of executive powers as a template for action. Details: Pascrell's request cites the authority granted under Section 232 of the 1962 Trade Expansion Act, which Trump availed himself of to justify the imposition of tariffs on steel and aluminum imports from a variety of countries, including key U.S. allies. Although the Trump administration is unlikely to respond enthusiastically, the Commerce Secretary is statutorily required to "immediately initiate an appropriate investigation" on the national security effects of the imports in question. Other global attempts to tie climate to trade policy, such as the EU's resolution to “make ratification and implementation of the Paris Agreement a condition for future trade agreements,” have been abandoned amid the exigencies of negotiating an agreement with the U.S. that would avoid damaging tariffs on European automobiles. Why it matters: This isn't the first, nor will it be the last, such maneuver. Trump's declaration of a "national emergency" to fund a wall along the Southern border could set a precedent for a similar declaration around climate change. A president acting on those grounds could fall back on nearly 150 special powers, including the suspension of some domestic oil drilling and the imposition of sanctions on fossil fuel–producing countries, regardless of whether such drastic actions are advisable. David Livingston is the lead for climate and advanced energy and deputy director of the Atlantic Council’s Global Energy Center.